Dr. Bettina Frankham is a practice led researcher in digital media. She has a background of industry experience that spans multiple forms of media including television, radio and web production. As a moving image practitioner she makes creative works that cross into territories of documentary, art and poetry. Her projects have screened at international media arts festivals including Videobrasil International Electronic Art Festival, Stuttgart Filmwinter Festival for Expanded Media, Berlin Asia-Pacific Film Festival, the Artivist Film Festival California and Flickerfest International Short Film Festival Australia. Her research interests include art and documentary intersections, expanded documentary practice and the impact of digital culture on creative media production. She is currently exploring the role of aesthetic experience in knowledge creation and is developing an open, poetic approach to media projects that address issues of social concern. 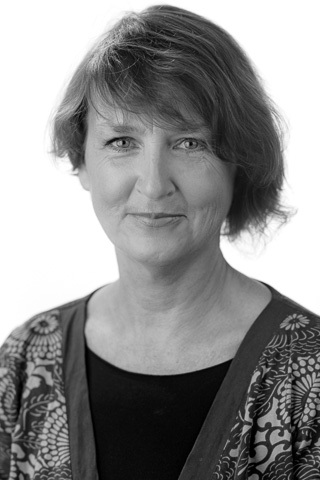 Bettina teaches in digital media arts and production in the Faculty of Arts and Social Sciences at UTS. Media practitioners find themselves in contradictory times. Smartphones that are able to capture highresolution sound and image are facilitating a consistent, abiding and thoughtful practice so that media production is more affordable and ready-at-hand than ever before. At the same time, increasingly sophisticated software is being developed to automate what have previously been considered skilled tasks, such as editing, curating and colour grading. While still an emerging field, these incursions have the potential to pose serious threats to the creative agency of individual moving image-makers. From a first-person practitioner perspective, this article considers how the creative agency of a critically engaged moving-image practice is both enabled and threatened by smartphone production environments. Using the lens of cinécriture, I consider how the full range of production choices becomes part of the expressive tool kit and the importance of making these aspects of creative agency conscious. I argue for the value of conceptual engagement through practice so that the act of participation and making is emphasized, and the significance of human creativity is maintained. Through an examination of the Google Photo Assistant application as an example of a basic automated editing tool, and setting my own approach to moving-image practice in this context, I put forward the case that greater digital literacy is required if practitioners are to maintain satisfactory levels of creative agency. The growth of user contribution as a form of interaction within online documentary projects is causing a shift in the way screen-based documentary is conceived. Viewers become participants, taking on greater agency in forming the experience of the work as they engage by contributing personal responses to the exploration of a subject. Rather than being fixed works with definite beginnings and endings, these online collaborative documentaries operate as portals, encouraging communities to gather around themes, events or areas of interest. While the diversity of contributions promises rich conceptual renderings, a significant challenge lies in the question of how to create a coherent media entity out of aggregated content that may be contradictory, complex and constantly changing. The online storytelling platform Cowbird establishes a social media space that engages a range of aesthetic, structural and organisational techniques to facilitate the sequenciation of diverse sources into multi-vocal chronicles of experience. Cowbird initiatives, such as the Pine Ridge Community Storytelling Project, where individual accounts of life on the Pine Ridge Indian Reservation in South Dakota were published as a mosaic collection alongside a feature article about the reservation in National Geographic magazine, suggest alternative modes of exchange between old and new media. This article examines the visual, structural and interaction design of Cowbird to explore how this complex and changeful format works to stimulate poetic and affective webs of connection. It is my contention that the system of multilinear engagement employed on Cowbird enables an emergent approach to documentary that can accommodate a nuanced and shifting range of individual responses. © The Author(s) 2018. This chapter describes the concept for a documentary that is also an instruction-based artwork. As a mobile, site-specific, and screen-based locative project the intention is that the embodied experience of the digital content is emphasized, setting up a resonance between content, instructions, the user and the real world. The objective of this method is to guide the audience as a participant through a series of directed poetic experiences to provoke situated knowledges about place and to consider other perspectives. As creators of media works defined by a close relationship with the real, a significant question for documentary practitioners is how to respond to the complexity of reality. Theories of spectator embodiment suggest opportunities to address these conditions through both the content and form of documentary work. Building on Epstein's photogénie and Marks's tactile epistemologies, this chapter examines a poetic approach to documentary production as one way to activate diverse knowledges that go beyond what can be expressed verbally. Using examples from the production of the short documentary, How Many Ways to Say You? this chapter suggests that the intersectional methodology of an open, poetic approach to documentary can provoke diverse knowledges for makers and spectators that may address our fragile and changeful context. This chapter describes the concept for a documentary that is also an instruction-based artwork. As a mobile, site-specific, and screen-based locative project the intention is that the embodied experience of the digital content is emphasised, setting up a resonance between content, instructions, the user and the real world. The objective of this method is to guide the audience as a participant through a series of directed poetic experiences to provoke situated knowledges about place and to consider other perspectives. Frankham, B.L. 2012, 'Documentary and the cinematic thought machine', Expanded Documentary Symposium, University of Wollongong. Documentary practice is a way to think the world. It can be a formulating, a historicising, a narrativising of experience that is otherwise chaotic and confusing. However there are alternative ways of knowing that come through lateral approaches, patience, perhaps even intuition. There can be a sense of accumulating understanding that speaks of an experiential kind of knowing that cannot be articulated or contained in a few rhetorical dot points. It is an approach where the sense of spending time and being open to 'nothing' happening and seeing where that might lead is valued as part of the process of coming to know. My interest lies in how an artistic practice can shift the work of documentary from a didacticism that says, 'I know all about this, come and listen to my wise words' towards an ongoing conversation. While the notion of an 'art work' can have the effect of elevating the artist and the work above the ordinary, the openness of expression permits room for the audience to bring their own understandings to bear on the issues under consideration with the attendant possibility for greater and more deeply experienced impact. In the admission of uncertainty and the acknowledgement of complexity, the agency of the audience and their ability to know something in multiple ways is mobilised. Frankham, B.L. 2012, 'A poetry of lists: heuristic approaches to complexity and ambivalence', Visible Evidence XIX, Australian National University, Canberra. In a time of data proliferation and exponential growth in ways to frame information, montage can be seen as both a metaphor and a method for organising complexity. However, as much as some audiences may at first positively respond to clear narratives and black and white proclamations, higher levels of media literacy means that critique and suspicion can be quickly trained on overt manipulation. Faced with the ubiquity of screens and media devices there is a restlessness stirring against didactic structuring modes. At the same time there is an observable shift to heuristic approaches. This paper reflects on the application of the list as a formal device in documentary practice. While there is still a need for authorship that engages with ideas and assists in organising the world for representation, an open, exploratory approach can access the potential for encouraging more active audience engagement, a respect for audience agency and the stimulation of ongoing conversations. Rather than an attempt to achieve an exhaustive documentation that seems aligned with attempts to reproduce the world, the process becomes more akin to curating experiences and aesthetic material from the world from an openly subjective position that formulates possible ways to make sense of it. As a bounded, limited form that refers to the etcetera of the field beyond the chosen items, the list can activate individual processes of synthesis and provide the means for documentary to embrace fragmentation, provisionality and complexity. Through examples from the multiscreen installation work Disorient by Fiona Tan and her own project, How many ways to say you, Bettina considers some of the implications of a heuristic and poetic documentary practice. At the edge of documentary practice, intersecting with territories of audio-visual media art, a poetic approach to documentary can work with aesthetic techniques to create spaces for pause and contemplation. However, debates around documentary aesthetics and the impact of formal choices upon issues of truthfulness and authenticity frequently results in the documentary value of poetic work being questioned. Fears of manipulation in the creation of beautiful truths, and the implied untrustworthiness of a poetic approach has seen ascetic responses such as direct cinema and observational practice favoured as tactics to maintaining authenticity. A tension between a desire for the real and a desire for the poetic is created. And yet, the two arent necessarily contradictory: desire for the real can extend, beyond faithful re-presentation of the world, into the domain of the senses and emotion. While there is a smooth, and often poetic, beauty in high definition renderings of the world, a low resolution, partial rendition can generate an affective yearning that appears to make use of the representational gaps in `poor quality material. When indexical and iconic bonds in relationships to the real are loosened through formal experimentation, alternative understandings of truth can come to the fore. The project can shift from the accretion of evidence to an exploration of experience and subjectivity. Through analysis of two projects that work in the borderlands between art and documentary this paper explores the possibilities of aesthetic experience as a means to explore concepts and forge audience connections within a documentary framework. Using examples from my own creative practice I consider the implications of applying techniques of visual abstraction, experimental soundtrack and fragmented editing in works that adopt a poetic approach to documentary. Frankham, B.L. 2010, 'Contemplations of place - the engaging spaces of poetic documentary', Film History Association of Australia and New Zealand Conference, Film History Association of Australia and New Zealand Conference, FHAANZ, University of New South Wales. A short poetic video documentary using footage captured while travelling through Cambodia. The video is structured around a range of Khmer words that are used in place of the pronoun you, and engages with a form of image driven, essayistic reflection on ideas of interpersonal relationship, history, memory and representation.